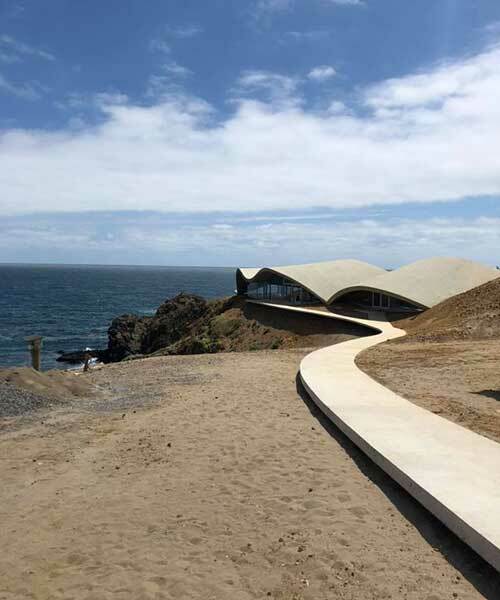 architecture in chile features a range of projects, mostly coastal residences and buildings that have been integrated into the distinctive landscape to form well-crafted, sculptural spaces amidst the rocky and uneven topography. 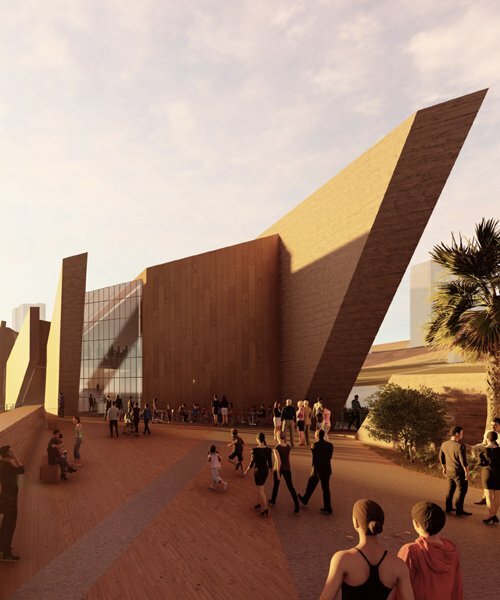 visitors are greeted with a building that comprises three pairs of parallel vertical walls, which shape the museum's major spaces. 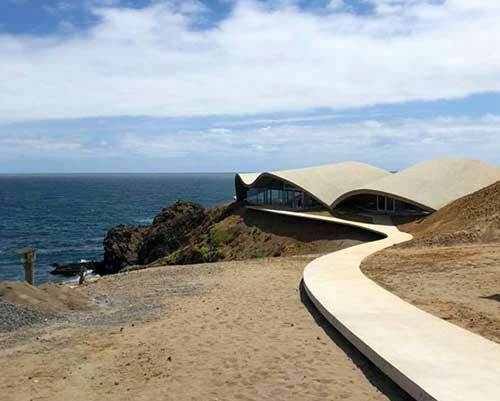 the project has been designed by smiljan radic, the architect who designed the 2014 serpentine pavilion, and his frequent collaborators eduardo castillo and gabriela medrano. the project features one of nishizawa's key work elements: a structure that seeks to achieve harmony with the landscape. 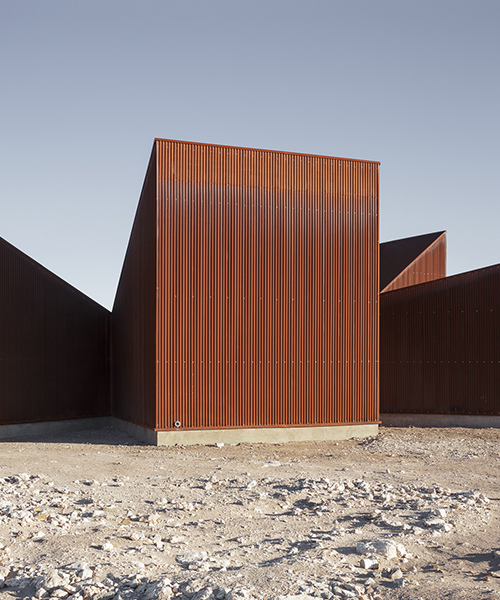 chilean architects emilio marín and juan carlos lópez construct a public information center in the atacama desert, the driest in the world. from initial sketches to final images of a project, the hardback shows in great detail the methods and ideas behind the studio. 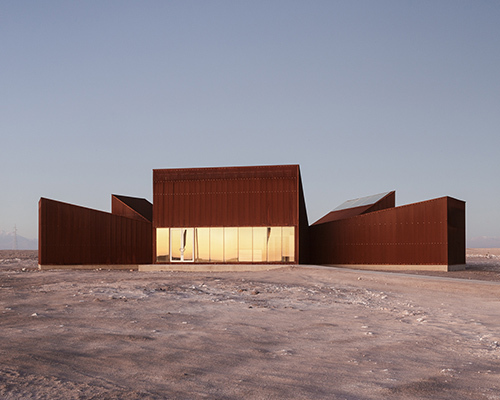 the simple lines and materials echo the common style in the region, while the unusual terrain slope brought an unexpected element to the design. designed by santiago-based hsu rudolphy arquitectos, the house is located on the bank of rupanco lake. chile-based studio DRAA, together with architect magdalena besomi, construct 'cabin shangrila' as the first of a series of elevated mountain cabins designed to populate a tall native woodland. stacked against one another, the dramatic hilltop home offers a simple composition to match its guiding design ethos. 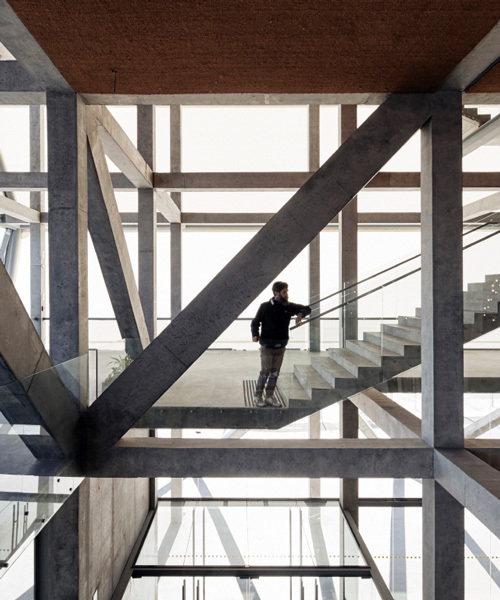 characterized by its heavy concrete materiality and simultaneous transparency, casa cipolla offers sweeping views of chile's lake llanquihue. the two-storey property responds to its scenic surroundings, characterized by open countryside, rainforests, lakes, and volcanoes. the four units of the 'very large telescope' (VLT) disrupt the vast horizons of the atacama desert’s sweeping, martian-like landscape. la roja is a cube-like home comprising two floors made up of two prefab modules each. the dwelling is composed of a succession of longitudinal and transverse beams that together generate a single structure that hovers gracefully above the ground. in developing the project, the design team played with perceptions of proportion to create a monolithic object with an ambiguous scale. designed by aguilo pedraza arquitectos, the dwelling offers views of the sea despite its distance from it. the volume and its spaces have been designed from a sectional viewpoint, prioritizing the heights in the main spaces of the house. constructed entirely from local timber, the dwelling is described by the architects as being 'both a half and a double house'. designed as a point of arrival and departure for the mountaineer’s trek, the structure rests on piles, making it a self contained object suspended above the ground. 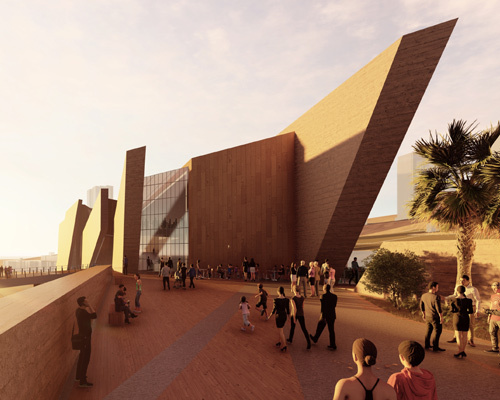 with a green conscious in mind and the idea to attract people to this natural site, the design aims to create a deep relationship between the interior and exterior. 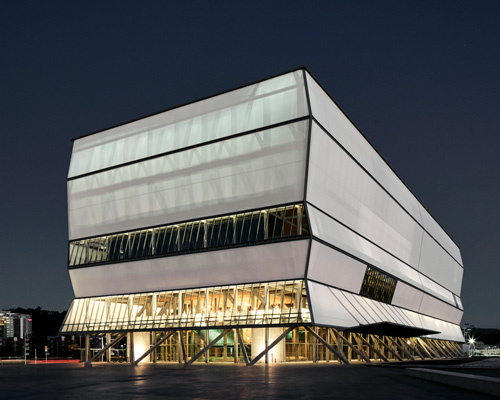 as a result of the translucent membranes that cover their roofline, the vaults are perceived as a row of lanterns or sea buoys tied to the waterfront. each face of wulf house visualizes differently where different construction systems were chosen and combined according to their role and location on the land. comprising nine torqued wings, the structure is set within the foothills of the andes mountains, bordering the metropolis of santiago. resting atop a set of boulders on a steep hill, the residence seems to be performing a balancing act. the inclined roof is supported y the original structure, magnifying the house’s interior to provide fresh air and light. the residence doubles as a shelter and observation point that opens up towards the semi-arid landscape of catapilco. using concrete, steel, and wood, GITS arquitectura designs an ample home at the base of a chilean mountain range offering stunning views of the adjacent valley.